From soaring above Salzburg to settling down in a spa, here are some of the best and most exciting activities to experience in Austria. A playground fit for giants, this surrealist space will make you feel as if you’ve landed in a Dalí painting. Wandering through these gardens, located just outside Graz, you will find twisted metal and dream-like shapes of lurid colour emerging from the ordinary landscape. Marrying nature and art harmoniously, the Austrian Sculpture Park makes for a wonderfully strange day out and will introduce you to the work of some of Austria’s most prominent modern artists, including Fritz Wotruba and Franz West, Erwin Wurm, Heimo Zobernig and Michael Kienze. Austria can experience extremely chilly spells in the winter months – with temperatures as low as -30. 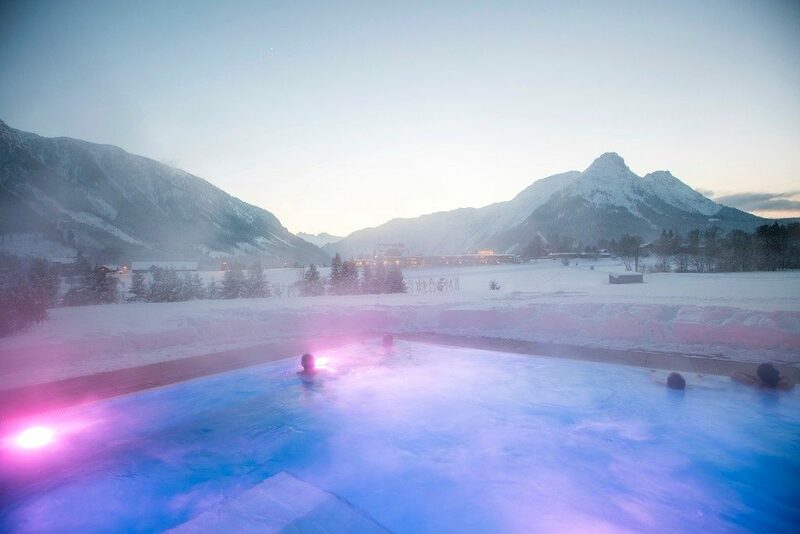 There’s nothing more comforting than escaping to the steaming pools of a spa set in a snow-tipped mountainous area when the frost starts to set in. There are lots of swimming pools with saunas and steam rooms attached in Vienna, but the most alluring are outside the cities, blending into natural surroundings. The Narzissen Spa (pictured) is a perfect example, boasting salt water baths with Alpine views, and a sauna and steam room. What on earth is a Heuriger you ask? In plain terms, they are are wine taverns, where generally the tipple served is made from the grapes in nearby vineyards by local wine makers. Located all over the country, even in the hills surrounding Vienna – a Heuriger is a place in which to feel merry, meet with friends and sample some of the locally grown produce. A few locations to check out in Vienna include Grinzing and Nussdorf. Although the Alpine areas of France and Switzerland are often heralded as the crème de la crème for winter sports, Austria has some equally impressive regions for skiers to take advantage of and it is often far less expensive to ski here than in the aforementioned places. Beginners or less confident skiers should try Alpbach – one of Austria’s most pretty towns – and only a 40-minute drive from Innsbruck. Alternatively, for more challenging slopes, head to St.Anton, a destination considered one of the finest resorts in Europe for serious and advanced skiers. During the 19th and 20th centuries, many renowned composers called Vienna home – leading to the city earning its current unofficial title as the ‘capital of classical music.’ Schubert, Mozart, Strauss and Beethoven are just a few of the names synonymous with the Austrian capital, and the legacy that they have left continues to enchant tourists today. You won’t struggle to find concerts taking place daily (check this website for updates) and if visiting in the summer months, you should take advantage of some of the free, outdoor concerts, such as the Schoenbrunn Summer Night Concert, which sees performances from the Vienna Philharmonic Orchestra or free outdoor screenings outside the Vienna State Opera House. Despite being landlocked, swimmers won’t be disappointed by what Austria has to offer. As well as the Danube being a refuge of a river in the summer months, with the banks surrounding it acting as a perfect hangout, there are countless beautiful and inviting lakes dotted around the countryside that are too tempting to miss. 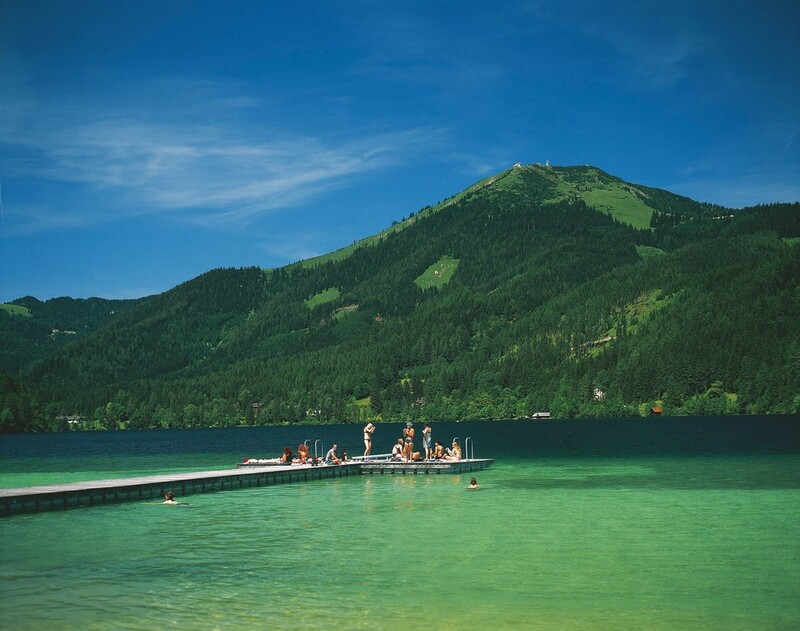 One of the most popular and lesser-known is Lake Ossiach in Carinthia or Lake Erlauf in Lower Austria near Mariazell. Lake Erlauf / Lower Austria near Mariazell | © Österreich Werbung / Weinhaeupl W.
Vienna has its finger on the pulse when it comes to contemporary art. In the 19th century, the city was a hotbed for creative types, such as Gustav Klimt, who was one of the brains behind the Vienna Secession – a movement of Austrian artists who banded together in 1897 to challenge the conservatism in the art world. Vienna continues to be one of the most culturally forward-thinking cities in Europe, with some of the finest contemporary galleries boasting impressive collections; the Secession, the MUMOK and the Galerie Ulysses are a few must-visit venues. Friedensreich Regentag Dunkelbunt Hunderwasser’s work is probably the best example of weird yet wonderful architecture in Vienna. 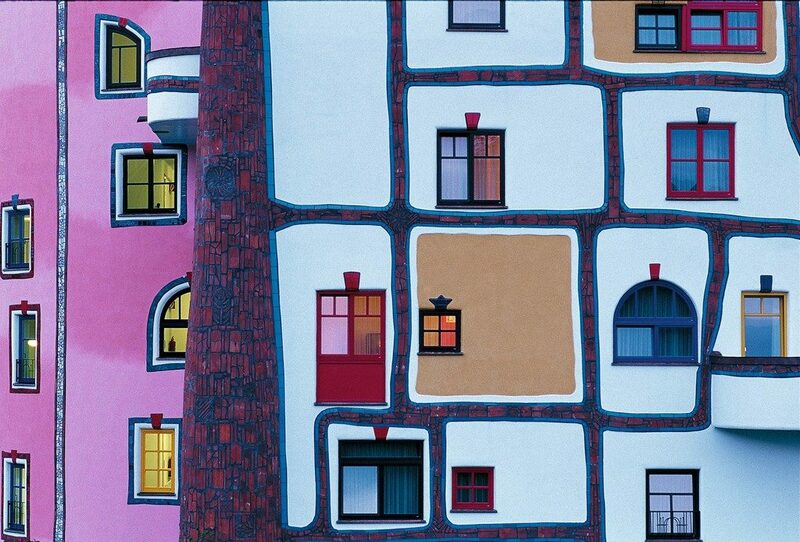 As well as his famous wobbly apartment block in Vienna, he also designed some of the buildings around the Rogner Bad Blumau, making for a wonderfully surreal world. There are plenty of curious creations that can be spotted around Vienna among the Baroque and Gothic facades. The Open House event in September is a chance to see inside. If the aforementioned experience is a little too daring and you’d rather have some comfort between you and the land, then a trip in a hot air balloon is the perfect alternative. Although this experience on the pricey side, if you want to see Austria in a truly unique and awe-inspiring way, it is well worth forking out for. Ballooning near Gosau Upper Austria | © Österreich Werbung, / Himsl L.